Marc is a Partner in the Employment & HR Team. He specialises in all aspects of both contentious and non-contentious employment law, with particular emphasis on TUPE and outsourcing. His work includes providing support to his corporate colleagues on a variety of transactions as well as advising Human Resources professionals on a daily basis. Marc is a qualified Barrister and was called to the Bar in 1995. He is a member of Gray’s Inn. He has gained invaluable advocacy experience in both Courts and Tribunals and appears in the Employment Tribunal regularly. Aside from his TUPE expertise, he is also known for his work on large scale staff restructurings involving collective consultation obligations. Marc has particular experience of dealing with employment issues arising from franchise arrangements, acting for both franchisees and franchisors. 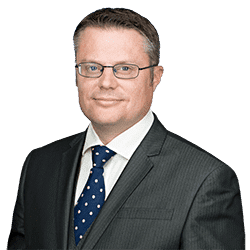 Marc also regularly drafts and advises on high value settlement agreements for senior employees and on the removal of company directors and shareholders. He lectures regularly on employment law and he has presented for CIPD, ACAS, Westminster Forum and many other bodies. He has also appeared on radio and television as an employment law expert. He is a member of the Employment Lawyers Association. For more information on our Employment Law Training Seminars and to book your place, please click here.